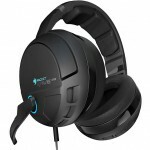 Those of us who have been with ROCCAT from the very beginning, will definitely know about the first generation of ROCCAT KAVE analog 5.1 surround headsets from several years back. 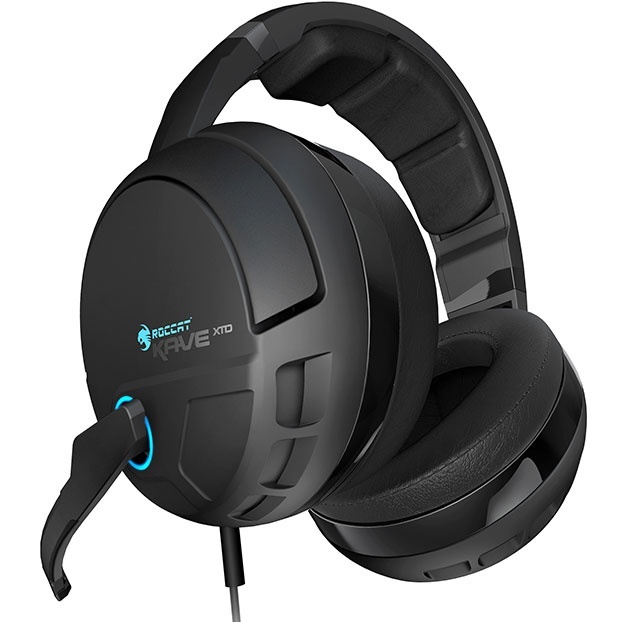 Not so long ago, ROCCAT announced the new and improved version of that headset: the ROCCAT KAVE XTD 5.1. with USB interface instead of analog jack plugs. 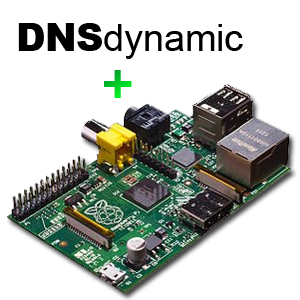 This may have been a blessing for a lot of laptop gamers out there, but if you are sitting on an awesome gaming rig with an equally awesome 5.1 ready sound card, it just ain’t as fun to buy a headset with a build-in soundcard. After a few releases of various color varants of stereo versions of the ROCCAT KAVE, it is now finally possible to replace that trusty 1st generation KAVE with a brand new and even more awesome version. Not only has the new KAVE XTD 5.1 Analog been on a serious diet, resulting in a 25% weight loss compared to the 1st version (down to only 335g), but ROCCAT have also chosen to add an “interference isolator”, which should cancel out the last remnants of that annoying humming noise you just can’t get rid of. The ROCCAT KAVE has just been released this easter, on 7. April, and should be available in most respectable electronics stores with gaming gear very soon. I will of course do a review of the new KAVE XTD 5.1, and compare it to the first KAVE version to let you know if it is worth the upgrade. By Mikkel at April 12, 2015 .